So, it’s that time of year again…tax season. While I’m sure there are a few masochistic people that actually enjoy organizing W-2s and itemizing deductions, I don’t find much joy in it myself. With that in mind, let’s talk about auditing, but for something that should hopefully be a little more enjoyable than crunching numbers through TurboTax: landing pages. There’s a lot out there about auditing your PPC campaigns or other digital marketing efforts, but it’s equally important to make sure that your landing pages are set up for success. With that in mind, let’s do a quick audit of your landing page design. 1. What’s Above the Fold? This one is arguably the most important aspect of any landing page, since it’s what the viewer sees first and dictates if they’re going to stay or leave within seconds. Is the point of your page clear? Have someone who’s never seen your page before look at your above-the-fold content and tell you what the page is about. If they get it right, you can check this off. If they get it wrong, you need to rethink your content. Remember, people are having an instantaneous reaction to your above-the-fold content. If your headlines are too long or overly clever, they will turn your audience away. Leave the mind-bending or longer content for further down the page. All of your above-the-fold copy and images should work together to create a complete, consistent message. To help with this, make sure your subheadings validate and enhance your headline and your hero shot reinforces the value of your offer (ie, a clear shot of your product or the emotion people will feel while using your service). It should be crystal clear what you want your visitors to do. For example, if you are a law office that relies on phone calls over form submissions, make your number click-to-call and present it in a clear and obvious manner above the fold. Similarly, if you are using a lightbox form, make your CTA button color a strong contrast from the rest of your page branding. Below the fold, you’ll want to keep your CTA obvious and present on your landing page. Also, your offer should be consistent consistent throughout your copy. Advertising two separate calls to action will confuse your visitors and reduce your conversion rate. A good landing page will make good on the promises made by your ads. There’s no faster way to lose a potential client than by having a disconnect between your ad and your landing page content. To check for message match, compare your ads and your landing pages. Are you advertising something that doesn’t show up on your landing page? Is your copy and/or imagery consistent between ad and landing page? Is your landing page a good match for the audience you are targeting? (ie, pictures of young tech-savvy people on a landing page for an ad targeting the elderly). Are you pointing the right ads to the right landing page? The more relevant your landing page is to your ad, the higher your conversion rate and quality score will be. This will improve your cost-per-click and your cost-per-conversion. Are you using the halo of more known companies or other trust icons (BBB A+ rating) to create a bond of trust between you and the viewer? Are you including quality testimonials or other customer reviews? Are you using security seals? The more social proof you have, the more likely people are to trust your page and convert. This aspect of your pages is a little more broad, but critical to take into account. Given the many difference between industries, there aren’t any hard and fast rules for which information should go where. But, to get a feel for your customer experience, try going through your page as a potential customer. By putting yourself in their shoes and imagining their wants and/or frustrations, it can help you to re-arrange content and put the most impactful points near the top. Along with considering page layout and structure, your CTA should always be readily available. There are quite a few ways to accomplish this, such as repeatedly placing a CTA button in each section or including a fixed header bar that features a quick link to your form or click-through page. Hopefully, this landing page audit wasn’t nearly as painful as filing your taxes! Auditing these 4 key landing page components will put you well on your way to higher converting landing pages and more effective online advertising campaigns. As always, keep in mind that these are only best practices and that every landing page and industry is different. The only way to find out if these work is to get those A/B tests rolling! Happy auditing! By the way, if you’d like me to do an audit of your landing pages, let me know here or in the comments. I’d love to help! Alright, now it’s your turn; what things do you find helpful to check for in your landing page audits? Let me know in the comment section below! 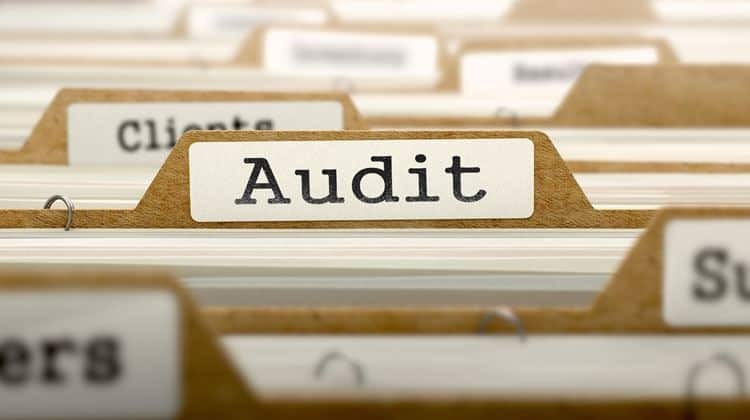 Good tips, however almost all of the guides on how to do LP audit are missing one very important point – performance (in terms of page load times).